"We all enjoyed the pool area." "Staff were excellent, can't fault it"
"a little Overprice for the Old Hotel." "cheaper Basic rooms / interconnecting rooms smelt really damp and had no proper ventillation"
When you stay at Prime Plaza Hotel Sanur - Bali in Denpasar, you'll be connected to the convention center, and a 4-minute walk from Sanur Beach and 9 minutes by foot from Bali Beach Golf Course. Featured amenities include a business center, complimentary newspapers in the lobby, and dry cleaning/laundry services. A roundtrip airport shuttle is provided for a surcharge (available 24 hours), and free self parking is available onsite. 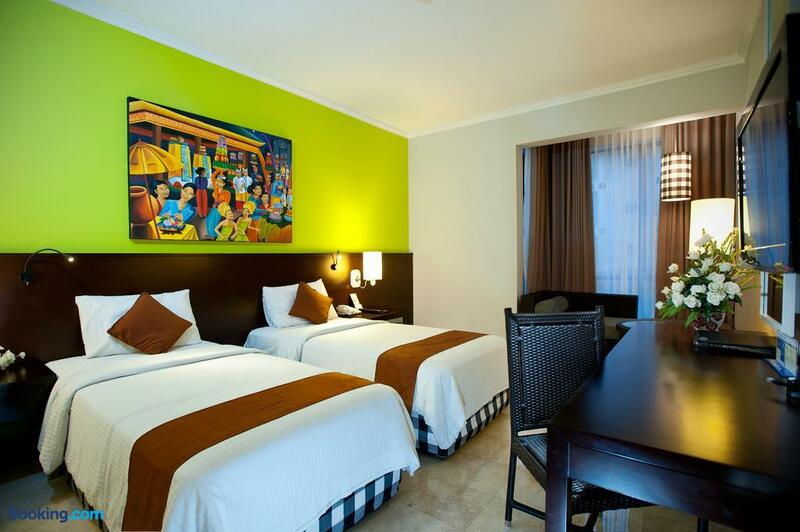 Search for Prime Plaza Hotel Sanur - Bali discounts in Denpasar with KAYAK. Search for the cheapest hotel deal for Prime Plaza Hotel Sanur - Bali in Denpasar. KAYAK searches hundreds of travel sites to help you find and book the hotel deal at Prime Plaza Hotel Sanur - Bali that suits you best. $62 per night (Latest starting price for this hotel) - Save up to 25%.